Views on political and social issue from the viewpoint of an independent. Soon to come; blog posts about Cuba study abroad trip, both about the trip itself and assigned articles leading up to the trip for college course. Hurricane Mathew in October of 2016 was the first hurricane to directly hit St. Augustine Florida since Dora in 1964, bringing floods unlike any since ones recorded in the 1880s, and bringing mass damage unlike anything St.Augustine has at the least recorded. Mathew left the small tourist town traumatized and scrambling to rebuild and to prevent the same level of damage from happening again. However, not even a year later in September of 2017, hurricane Irma’s outer bands leave St. Augustine with damage, though not exactly the same, but very similar to that of Mathews. The above photos from the neighborhood known as Lighthouse Park gives a good first idea of just how much stronger the winds were this year, leaving more fallen trees than flood damage, where as Mathew left a majority of the island and historic bay front with water damage. The fishing pier at the boat ramp in Lighthouse Park was already damaged during Mathew, but never repaired before Irma, and seems to have only been made more unsafe having been shifted on the concrete pillars that hold the pier. From the same boat ramp one of the many sunken sailboats starts to disappear into high tide, along with various pieces of, both private and public, wooden and or floating docks, either drifting into the salt run or getting washed on shore. One resident of Lighthouse Park who decided to wait out the storm at home rather than evacuating, regardless of living right on the salt run and being part of the first sections to fall under St. Johns counties mandatory evacuation, found themselves stuck in their home when a cedar tree fell over a power line. The power line hanging just inches off the ground left the residents unable to drive out of their driveway, and wasn’t fixed until about 5 days after St. Augustine reopened the island to returning residents. Having arguably received the worst of the damage during Mathew, the many residents of the Davis Shores area of Anastasia Island would argue Irma left them with a scarcely different experience. With some remnants of the floods this area seems to be prone to lingering near the gutters of the streets, Davis Shores presented DeJa Vu images of families hauling numerous house hold items, furniture, and various debris to steady growing curb side piles. Those whose houses sit either on the salt run or Matanzas inlet also loosing boats and docks, either to the shore line or adrift, once again this year. St. Augustine’s beloved historic downtown and bay front area suffered far less flood damage during Irma than during Mathew, but was hit with far more downed or uprooted trees and sinking sailboats, seen off the Bridge of Lions. Barges hauling debris steady drifted past said boats, some of which served as homes to residents, in the Municipal marina. The Huegonaught cemetery outside of the old city gates that once was appropriately shaded by aging cedar trees is now nearly unrecognizable due to how many of trees were split, uprooted, and forced down by the winds. Castillo de San Marcos’ usually dry moat was still draining of rain water days after the storm. Though the damage above is saddening, it is no where near all that could be found in St. Augustine after Irma, and though no where near as bad as Mathew in most of St. Augustine, was far worse in various surrounding areas like those of crescent beach that were struck by a tornado during Irma. But above all, it is wholly acknowledged that the damage done in our little north east corner far from matches the damage done by Irma in south Florida, the Florida keys, and the Caribbean Islands, or even the floods in Texas left by Hurricane Harvey. It simply serves as yet another reminder that you can never be too prepared, and should never take threats of natural disaster lightly. Though Viva Cuba technically translates to “long live Cuba”, the frequent tone in which we exclaimed “Viva Cuba!” prior to doing something out of our comfort zone while in Cuba was that of, “Live Cuba”; live like Cuba, do something new, that you wouldn’t or cant do back home in the states, take advantage of what very well could be a once in a lifetime opportunity. The study abroad trip was my first time traveling out of the country and was the definition of eye opening and humbling. Having come form a close nit family, we had a tendency to share similar views on the world, though I always saw myself leaning further and further from the norm house hold opinions with each year. However none of my family had really traveled out of the country prior to my study abroad trip, at least not in the same way; my brother being a submariner in the navy has spent every deployment of the past four years only shortly docking in the same few countries and not getting to really experience those other cultures in the same way, and my father having been confined to either the on site housing or an ocean side resort for weekend day trips while working in the Dominican Republic doing environmental work, also had little time to truly explore. Though I like to think of myself as an understanding and empathetic person to other peoples situations, I think everyone does as well. But little did I know the difference that comes with simply hearing about, seeing on TV, or reading about situations in other countries, vs getting to be their while staying in private homes and interacting with really only locals and very few other tourists. “You never really know until you go” has become a kind of “motto” Ive adopted from, and that sums up, my experience on this trip. To me this trip meant making real connections, far beyond those you make with people in your own neighborhood or town or country or school or work place; real, life changing and view altering connections. It meant realizing that it is possible for me to do the things I want to do, or even things I never dreamed of doing, being that my decision to go on this study abroad trip to Cuba was something that never even crossed my mind prior to running into a friend who said they were on their way to a meeting for the trip and invited me along. It made me realize that I dont have to wait till im established in a well paying job to be able to travel and see the world. But most importantly, it made events outside of my own life much more real and important to me. Now when I watch the news and hear of struggles and events abroad, I effects me a little more, its a little more real and easier to grasp for me now; easier to grasp that theirs real people living what ever im reading in the new or seeing on TV. To me “Viva Cuba” truly means so much more for than just “Live Cuba”, it means the world of opportunity I realized I have, regardless of any circumstances thrown my way. But it also means theirs a world and people far beyond my own that I want to experience and meet. Its an experience you dont get without truly spending time encompassing yourself in another culture, and though our trip only lasted 12 days, it made an impression that will last a life time on me. Of all the things we take for granted here in the states, our connection to anything and everything, at any time, at incomprehensible speeds, is near the top of the list. Though it serves uses far beyond just cat videos and twitter feeds, lets face it, the majority of what we use the internet for is nonsense. However, for the people of Cuba, internet access proves useful in a way beyond unfamiliar to us here in the states. Though I was fore warned that wifi in Cuba was scarce, I was still in for a rude awakening once actually in Cuba. However, I tried taking this lack of access to “the outside world” as a positive addition to the trip, and made a point to try to completely boycott the internet for the duration of the 12 days (though I gave in once around the 9th day in Trinidad). But as I listen back on interviews and really reflect on the situation as a whole, I begin to feel almost selfish for “heroically boycotting burying my face in my phone”, because what access Cuba does have to the internet is something that should almost be marveled at, even proud of. Whats sometimes a burden to us is a crucial step towards change for them. Internet in Cuba is highly regulated by the government, and was only just introduced in 2015. Access is limited to wifi parks and cafes with the purchase of wifi cards, which give 1 hour access to the internet via a code, or for a hefty price for your private home or business. However, the more and less restricted access to the internet the people of Cuba gain, is more steps closer to evoking change in the country. One member of “On Cuba”, an alternative news platform in Cuba, paints a perfect picture of the impact internet has had thus far, “Even with the low internet access, it could change the possibilities for people…when I graduated (college) in 2012, it was something (On Cuba) that was not possible and now is possible. The first wifi spots in Cuba were opened in July of 2015, so before that it was really difficult for people to have access to the internet without working in an institution from the state (government) or paying really high costs”. Not only did the small introduction to the internet pave the way for projects like “On Cuba”, but it affected Cuba on a much more individual and personal level, “…people mainly use it to communicate with their families living abroad…it has changed the way people understand communication and for the first time people have been able to actually see the lives of the people who have left the country. Until that moment it was only stories and photographs. Now you can have 360 degree vision of the houses or streets in real time and it changes the way people see the outside”. Though the internet situation in Cuba is still far from perfect; access being limited to when the weather is fair for wifi parks being that they’re more easily accessible than cafes, the lesser known “Imo” having to stand in place of the more universally known “Skype” when contacting family due to it being blocked by the government, and even Facebook having extreme restrictions. Regardless, its a huge achievement for the people of Cuba, and really can only lead to a more positive outlook for improvements in everyday life, as well as Cuba’s relationship with the US and other countries. Freedom of press is so easily taken for granted in the US, yet fought so hard for in Cuba. Cuba being a communist country, naturally doesn’t allow free or independent press. Any media outside of state run television and the state newspaper, “Granma”, are unregulated, and there for illegal. This poses a numerous amount of problems for those living in the country, however the people, as with many other unregulated businesses and jobs, have found their ways around the government to get themselves, and what the rest of the country, need or want. Getting information and stories out to the masses besides that of the government’s choosing is a crucial necessity for helping evoke a want for change, and we were lucky enough to speak to two major independent media platforms who were putting in the effort to do just that. El Toque, a group of journalists running an online “alternative” platform set on delivering stories and news to Cubans that cant be found in the state (government) run newspaper, “Granma”. While interviewing the group, we learned that independent media like theirs is actually illegal because it is not regulated. Because of this, like many technically illegal businesses, they do their work out of a house using the server from the public wifi park near by. However, the group acknowledges the issues with this and spread their work, along with many other Cuban platforms, through something called “El Paquete”, or The Package, though the threat from the government doesn’t linger far from their minds, “The government can do whatever it wants.. but some spaces the government doesn’t have the tools to control yet… the logic of our legal system is you only can do what the government allows and the rest is forbidden, our logic is backwards…if it is not regulated, its forbidden..it is one of our worst problems, everyday we could be blocked because the government can do whatever it wants..(However) being a black market (El Paquete), it cannot be controlled”. El Paquete being USBs sold to Cubans by a group of people on a timely basis that contains not only independent Cuban media, platforms, and projects, but also TV shows, music, magazines, movies, and much more content that are usually banned access to, including content from the US. While first describing their platform, one member of the group heartwarming ended the introduction with, “We talk about good and bad things with honesty”, as compared to the state run newspaper. On Cuba, an alternative media dedicated not only to its readers inside Cuba, but interestingly enough, those Cubans who have left the country. While interviewing one of the staff members for the media platform, she explained to us the importance of having a variety of information and stories being released to the public through On Cuba, as well as the importance for those stories to reach or be of relevance not only to those in Cuba, but their families abroad, “…you cannot predict a future of the country without taking into account these people (the family members abroad) that are still influencing what happens inside the country. So we want to talk not only about politics or official stuff, we also want to talk about people themselves, about their stories”. On Cuba also makes a strong effort to stay as neutral as possible, or to include stories and points of view from multiple sides, though this too can prove troublesome when stereotyping and misconceptions come into play from one side or the other; “When you talk about Cuba in the press you will find very polarized positions; theirs media content talking about the perfection of Cuba, and theirs a lot on the other hand talking about ‘the disaster of Cuba’. We are neither of these extremes, though this is also an issue because the two sides still punish (us). One side understands you are not with them, so they think you are on the other side”. A large part of why these people are doing what they’re doing, trying to avoid government intervention and starting the independent and alternative media platforms, is because they feel the people just arent getting what actually matters or is truly important and relevant through state run media, “In Cuban media the stories talk more about statistics and not about people; more about data and not about people’s stories. I hardly find in the media what I feel in the streets, or what I understand people to be feeling… I understand that we need, as a country, to move the debate and talk about these stories because they’re important”. Its only human nature to be skeptical of things we dont completely understand, or things that are perceived as “bad” or “wrong”. 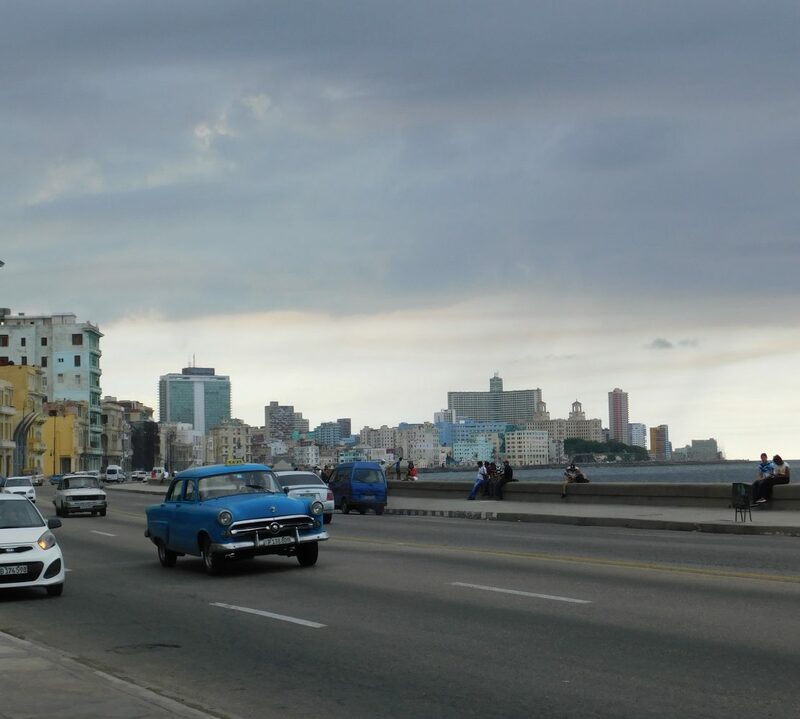 When growing up in a country holding an outdated embargo for reasons in history that are only briefly covered in the public school system, this skepticism is a popular attitude toward Cuba in the US. However, Cuba’s history, and the history of US affairs in Cuba dating back to the Spanish-American war is highly misunderstood and misconstrued. Gaining a new perspective and understanding of Cuba’s past, and present, and the US-Cuba relations is long over due for us here in the US. But because this is no simple subject, the easiest place to start to try and give the public an idea, at least of the real Cuba today, is with a look at the people and their reality in Cuba. Its easy to disregard Cuba as nothing more than a communist country and thus some kind of threat to the US, and not comprehend the reality behind the country; the reality that theirs real people living their trying to strive with limited access to necessities thanks to our embargo. And not just “real people”, but some pretty amazing people who are genuinely, and maybe unnecessarily, nice to any visitors to their country, including those from the US. La Marca tattoo parlor, considered to be Havanas first tattoo parlor, doubles as a mini art gallery and actively promotes local artists. Dedicated of course to art and beautiful tattoos, but far more importantly to safety, sanitation, and health. Because tattooing as a business is technically illegal in Cuba, there are no regulations for tattoo parlors, and many get shut down. Since La Marca is some how still in business with little fuss from officials, they strive to keep up a good reputation and go to lengths far beyond those of parlors in the US to ensure their work space and materials are clean and sanitary for their customers. Keeping the reception, sketch space, and parlor itself completely separate, they completely re wrap the chairs in saran wrap not only between every customer, but even between the tattooing process and the cleaning and wrapping process for each individual customer. They get most of their ink from Canada due to the trade embargo with the US, and yes, they pull the fresh needle out of its sealed package right in front of you. The artists at La Marca were more than happy to book last minute appointments for myself and one other student on the study abroad trip for the day before we were scheduled to head home. Clandestina is Cuba’s very first “design store”. Coining the phrase “99% diseno Cubano”, you can find “99% cuban design” screen printed by hand on t-shirts, and bags, and even buy stickers and key chains with the stores phrase. The group of local artists and entrepreneurs are set on providing, not only the tourists, but locals with hand made Cuban designs, art, and clothes. They were more than willing to take time to let us interview them, and even showed us the art gallery housed above the store. Marta Rojas, the only reporter to take notes during Fidel Castros 1953 Moncada Garrison court case. One of Castro’s early attempts to overthrow the dictatorship of Fulgencio Batista was his attack on Cuba’s second most important military base, the Moncada Garrison. This being only the beginning of what would alter be Fidels revolution, he gave his historic defense during the case, “la historia me absolvera”, “History will absolve me”, and Marta Rojas was the only reporter to document Fidel’s strong words throughout the case. However, she would hold have to hold onto her notes for 6 years before they would be published, and would later turn the notes from the court case into a book. While interviewing her in her apartment, she shared a heart warming thought with the study abroad group, “Theres two things you can learn a lot from; people and books”. She was nice enough to invite us into her apartment, show us personal photos and documents from her days as a journalist, and even offered some palatines prior to us leaving her. Jose Fuster, an artist outside of Havana, is one of the many artists striving to help improve some of the more impoverished neighborhoods in Cuba. As a guide told the story upon our visit, Fuster began transforming his house with tiles, and eventually his neighbors wanted in on the fun. Fuster slowly began transforming his neighbors houses, and eventually other areas of the neighborhood. Now his corner of the neighborhood houses what has become known as “Fusterlandia”, an all out tourist attraction and art museum in Fuster’s own home and throughout the neighborhood. He, like Mrs. Rojas, was also nice enough to invite us inside his home and let us interview him in his studio, which is closed off to visitors. While horseback riding in Vinales, we stopped to talk to a tobacco farmer who explained the part the government plays in farming. The government actually takes 90% of all crops and harvests, leaving only 10% for farmers to sell for their own income. This particular man was selling bundles of 10 cigars for only 10 CUCs (Cuban Convertible Pesos), so one CUC each which currently is equal to one US dollar. Even with this information in mind, a different tobacco farmer we met near the private homes we were staying in, also in Vinales, was more than willing to give us a few cigars free of charge after showing us his barn. Coming from a household that seemingly revolved around music, I’ve had my fair share of heavy music related experiences. Little did I know, it would be a study abroad trip to Cuba where Id truly see just how universal and influential music is. Having barely passed Spanish 1 in high school with a C, I was mentally preparing to be frustrated by my inability to translate and understand, not just people, but music. Come to find out, I wouldn’t need those presaved Spotify playlists as much as I thought I would. Though the Cuban government has, and still tries to retain a certain amount of filtering of what comes in from the United States, in both the sense of the trade embargo we placed on their country, and our culture in response to the embargo, music has managed to easily slip through the cracks, and the Cuban people love it just as much as you’d imagine us homesick college students did. The non stop cultural fusion through music that occurs in Cuba really shines through in what we already consider to be one of the greastest classic rock songs of all time; Hotel California by The Eagles can be heard playing anywhere and everywhere just as it can here in the states. Little did I know the happiness I felt when I heard a friend of our professor strum those first few chords on the porch of our rental home in Tarara ,it would not be my last encounter with the song. I would find it again while hiking to our first water fall in the country side, being sang in Spanish by an elderly man sitting on a rock with his guitar over looking this scene. And again in an, odd but awe inspiring, trip to the “prehistoric wall” painting in Vinales, being played by two Europeans off their phone who had also climbed the rocks as a few of us on the trip also did, to just below where the mural start, in an attempt to get a good view of the mountains adjacent. For the duration of the trip we had the same three taxi drivers take us from location to location. We eventually learned to find the drivers all Spanish selections on the radio soothing, and eventually familiar, mumbling along to some songs as the trip went on and we heard them more, serving as background for post hike van naps. However, we were ecstatic when he started playing hits like, Total Eclipse of the Hear, and Stevie Wonders, I Just Called To Say I Love You, when we first entered the van on the Fourth of July, the driver swaying back and forth with us as we sang in the back seats. Art and various other odes to musicians and band can also be found throughout Cuba, particularly John Lennon of the Beatles. In John Lennon park in Havana Cuba, a Statue of Lennon seated on a bench permanently resides in the park for photos, and just across the street a bar named, The Yellow Submarine, plays nothing but classic rock hits all day and night. Even the team of On Cuba, an independent media outlet in Havana, decorated their office with a quote from, Imagine, by John Lennon. And of course, there were the night clubs. One of the most noteworthy of all, and such a crowd pleaser we had to make a second trip back the night before we flew home, was Fabrica de Arte in Havana. Factory turned nightclub and art gallery, is well worth the line that sometimes stretches around the side of the building, lucky for us, a family friend of our professor works as a security guard in Cuba and was able to talk the bouncers into sliding us ahead in line. First walking in your blinded by bright white walls, and have trouble paying attention as your explained how you drink card works because your eyes are catching glimpses of beautiful artwork peaking out from behind anyone from Cuba’s best dressed to fresh off a day of backpacking Europeans. Finally emerging from the initial crowd at the door, you find yourself in, literally, an art gallery. White from floor to ceiling with people quietly shuffling past pieces and sipping drinks. After so many rooms of back to back art, you find a hallway with people pouring out of it and can hear the thumping from speakers. Once you finally break through the doorway, you’re confused to find a huge nightclub and bar. This continues throughout the building for about three stories, with only one exit to try and find your way back down to. Some rooms are stages with live bands, some are DJs, but both English hits like Bruno Mar’s, That’s What I Like, to Spanish favorites like Despacito and Bailando served as the soundtrack to two amazing nights. One of my personal favorites had to be Casa de la Musica in Trinidad. After a decent trek up a notably steep hill on cobblestone streets, we arrive at the bottom of Casa de la Musica. Practically throwing my 1 or 2 CUC (Cuban convertible peso) cover charge at the bouncers, I was awe struck to be looking up at an outdoor, amphitheater style, stage surrounded by long benches carved into the limestone, packed full circle with people and waiters buzzing back and forth with trays full of drinks. After just a couple of minutes of finding our seats only 3 rows up from the stage left, the girls of the group were rushed down, not only to dance in the area in front of, but on stage too. Though Casa de la Musica featured exclusively spanish hits, at least on the night we were there, just another trek up a hill to the right of Musica, you could find a line curving out of a cave on another hilltop overlooking more of Trinidad. A change up between english and spanish music by a DJ made the Cave the perfect spot to end the night..until you realize you have to hike back up out of the Cave after hours of dancing. One of the more heart warming experiences by far, though, had to be getting news that we were invited to see a pin pal of one of the students of the study abroad group perform at a music venue in Havana. Flagler’s Hannah Pierce got into contact with Cuban singer and musician, Aurorita Feliu, and upon going to see her perform you could tell the rest of us were beyond thrilled she did. Not only did she have a one of a kind voice, she was pure talent on guitar, and had an equally as amazing band backing her. Though she had us fully mesmerized and swaying with the Spanish pieces she performed, she paused to introduce her “American friends”,the study abroad group, to the rest of the crowd, and begin singing Janis Joplin’s Mercedes Benz with just us snapping our fingers to accompany her. With other locals, and even some family and friends of our professor who were aiding us during the trip, joined in on the song, it was quite the emotional and culturally connecting experience for us all. Beatlemania having swept over the world in the sixties is far from an over exaggeration, as we all know. But to find out that in 1964 Fidel Castro declared a nationwide ban of the Beatles’ music really puts into perspective the influence and reach music can have. Castro saw the”fab four” as a symbol of the “vulgar consumerism” he resented and thought of the British band as “a tool of capitalist America”. Regardless of the ban, their music still made its way to Cuba’s youth underground, and two years late in 1966, the ban was lifted, although it still took some time for Cuba to allow all its people to embrace the rock and roll craze. In 1971 the Beatles show was aired for the first time over Cuban airwaves, but tension still remained towards the new culture of the 60s and 70s. However, on December 8th of 2000, the 20 year anniversary of John Lennon’s assassination, a statue was unveiled on a park bench at 17th and 6th street in Havana park, also known as “John Lennon Park”. Somewhere in those 30+ years, John Lennon grew on even communist rebel Fidel Castro. Whether this actually stands as symbol of musical freedom in the new era of the Fidel rule is still up to debate among Cuban musicians, for Havana park didn’t get its British nickname along with the unveiling of the statue. This story actually begins months prior with a group of Cuban musicians. Jorge Dalton recalls his participation in the original tribute to the icon in an article of the Havana Times. A group of Cuban musicians and other artists had the idea to pay tribute to the band and “right the injustice that the banning of the Liverpool Four in Cuba during the 60s and 70s had meant”. With the support of the National Committee of the Young Communists League, Cuban Radio and Television Institute, and various other members of the community, the group of artists planned to pay tribute on the roof top of the Habana Libre Hotel at the same time as a film festival as an ode to the Beatles rooftop concert in England in 1969. Everything was planned out and seemed to have the green light, until the actual day came. The National Committee of the Young Communists League withdrew their support and deemed the concert “inappropriate” and the Communist Party Leadership, relayed through the National Committee of the Young Communists League, said the concert was not to be authorized. Although the group of artists attempting the concert greatly dwindled in size and lost the support of the Cuban Radio and Television Institute, who were going to supply broadcast and audio equipment, the few remaining musicians persevered and decided to try Havana Park next. News spread about the reattempt at the concert and the park was packed with people before they even started setting up. Rushed, unrehearsed, and improvised, the band began the tribute. Jorge recalls “pulling electricity directly from streetlamps and people’s houses”, and even nearby police couldn’t help but join in, “The park was also surrounded by a long cordon of police officers, who ended up singing Yesterday, A Hard Day’s Night, Come Together and Let It Be along with us”. The tribute ended with Hey Jude after one musician, Carlos Varela, “took the microphone and proposed baptizing the park with the name of John Lennon”. When Fidel presented the statue of Lennon at the park only months later, party leaders and members of the Cuban Radio and Television Institute who had tried to stop the concert prior were even present at the unveiling.